Our Masonry Contractor License #60817 is found on the official NYC.Gov Building department page. New Age Global Masonry contractors can provide you with Marble & Granite Installation, Stonework Fabrication, Patio & Deck Building, Paving Stones, Brick – Concrete, Pumice, Plywood & Veneers, Stone Setting, Interlocking Pavers, Retaining Wall and more. We are top rated in NYC and have many clients in Queens, Manhattan and the five boroughs NYC. We would like to offer you our “best price, quality, & warranty” guarantee. Call 718-690-1361 now to find out more and to schedule you free in-home estimate today. We provide contracting services for commercial, retail store and hotel construction and contracting projects. We are insured and licensed New York retail, hotel, and office building contractors. 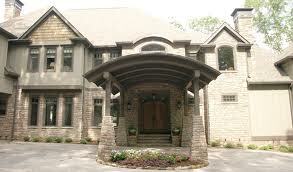 Keep in mind that we are here when you are looking for roofing services in nyc for commercial or residential. © 2019 New Age Global Builders. NYC General Contractors.